There are two main types of hobs you can have in your kitchen. Your kitchen hob can either use gas or electricity as its main source of heat/power. Gas hobs are very traditional and provide you with an open flame, where as electric ones turn electricity into heat with no flames at all (an electronically controlled coil of metal is used to heat the pans). Below, you can view some of the models and styles that are suitable for your kitchen worktop surface. Choose below to find out more about gas or electric hobs and which one suits your lifestyle more. 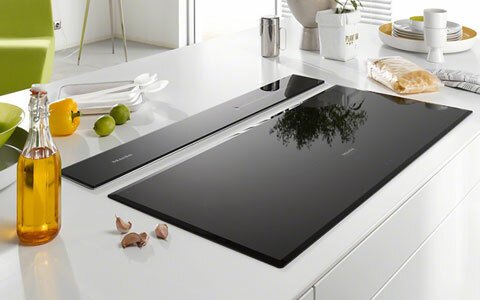 Create instant heat and choose between four or five burner hob. Safe and energy efficient way of cooking with electric hobs. 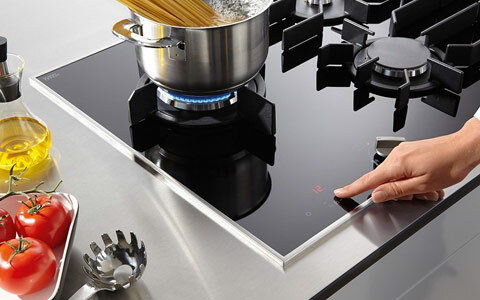 Induction hobs are faster than traditional gas hobs, safer because they only heat the pan directly using electromagnetism, meaning they only respond when pan is placed on the surface. Induction hobs heat up faster than gas hobs, no energy wasted as they only heat the pan, easy to clean and safer due to having no flame. Gas hobs are traditional but still a very popular choice in kitchen environments and offer instant heat when turned on. They are also safe because as soon as you turn them off the gas supply stops.